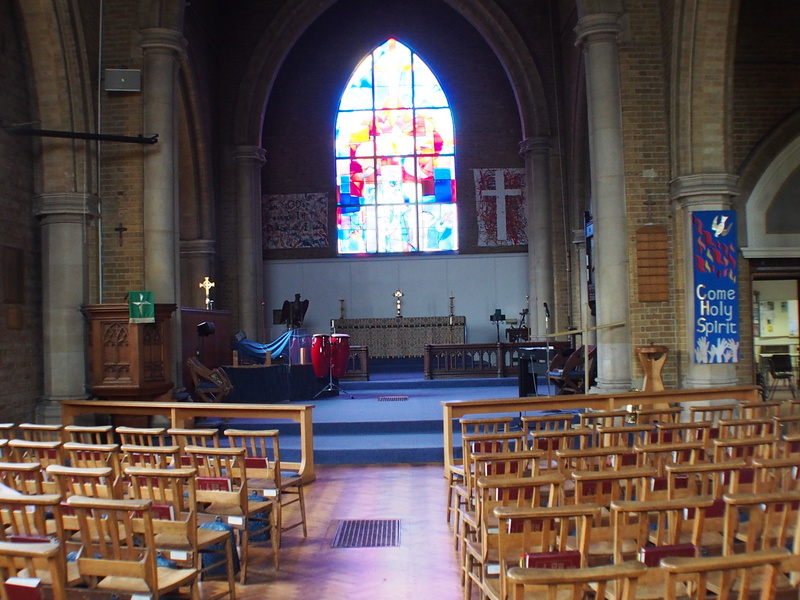 St. Cuthbert’s is a part of the New River group of parishes, centred around Hoddesden. I found it open on the day of my visit. 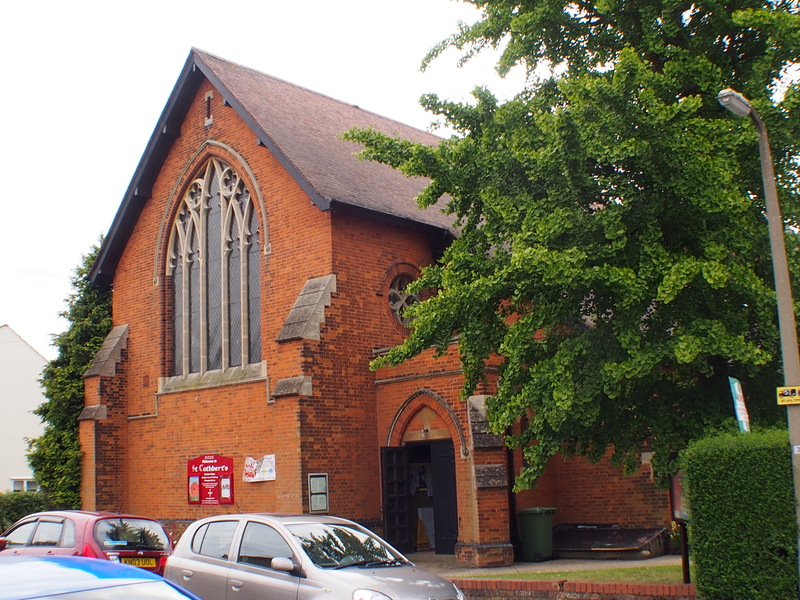 The church is open on Tuesday and Thursday mornings and has a lot of activities happening in it. There is a large residential district around the church. 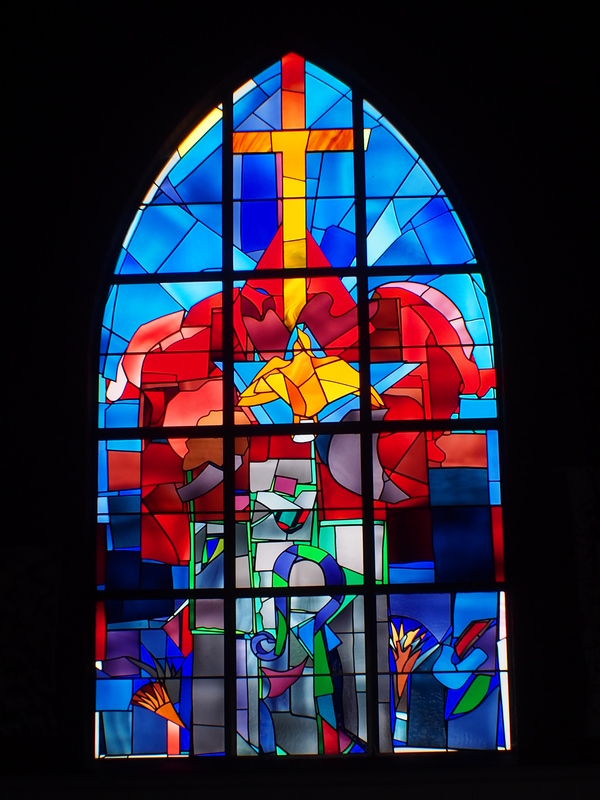 I found a well cared for church and there was a good welcome leaflet and one on the lovely modern east window. This explains the symbolism of it and also gives some Bible references to think upon. A good idea.